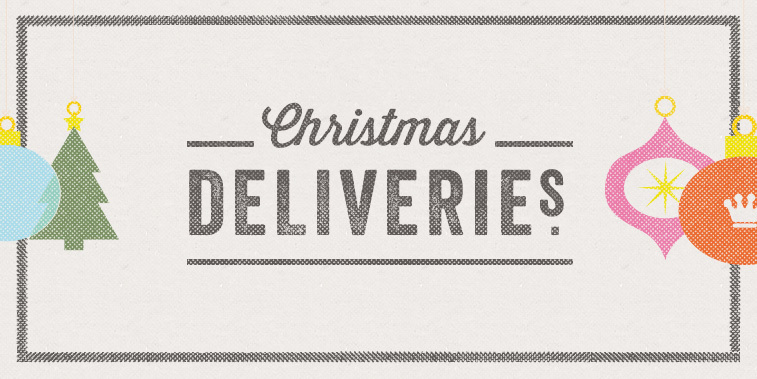 We will welcome orders up to and including Thursday 20th December for delivery on the 21st December. Any orders placed after this time and over the Christmas period will have a cut-off of time of 1pm on 27th December, ordering upto this time will have an automatic delivery date of the 28th December. You MUST select a different date if you will not be there to sign for your cakes between 8am to 6pm on 28th Decemeber. The next available date for delivery will be 3rd January 2019. Unfortunately, we cannot be held responsible for failed deliveries to closed businesses within these hours. Thank you for your continued loyalty throughout 2018, Cakemsiths would like to wish you all a very Merry Christmas and a Happy New Year.